This last Sunday of the Church’s liturgical year wrestles with an understanding of Jesus as like royalty. As we observe in the John gospel passage, Jesus resisted this terminology preferring to be known as the champion of truth, albeit the Revelation epistle and OT scriptures do use royal terminology to describe Jesus exaltation as greater than that of even Kings. Today we link to a PDF file of the power point slides that were shown as this message was delivered and to an audio file containing the message delivered by the Reverend Terry Alve, interim priest at St Anne’s. No Ordinary Sunday (33) – Preparation for Advent by Thinking on Christ’s 2nd Coming! The story of Hannah, which we read as the haftarah – series of selections from the books of Nevi’im (“Prophets”)- on the first day of Rosh Hashanah – (lit. “head of the year”) is the Jewish New Year (early spring) – provides a much-needed moment of inspiration for us to begin a New Year. When we first meet Hannah, at the start of the Book of Samuel, she is a picture of desolation and defeat, due to her infertility. Her husband Elkanah has another wife, Peninah, who has children and taunts Hannah cruelly – one of several biblical swipes at the unsatisfactory nature of polygamy and the miseries it brings. Rom 8:31-39 If God is for us, who is against us? 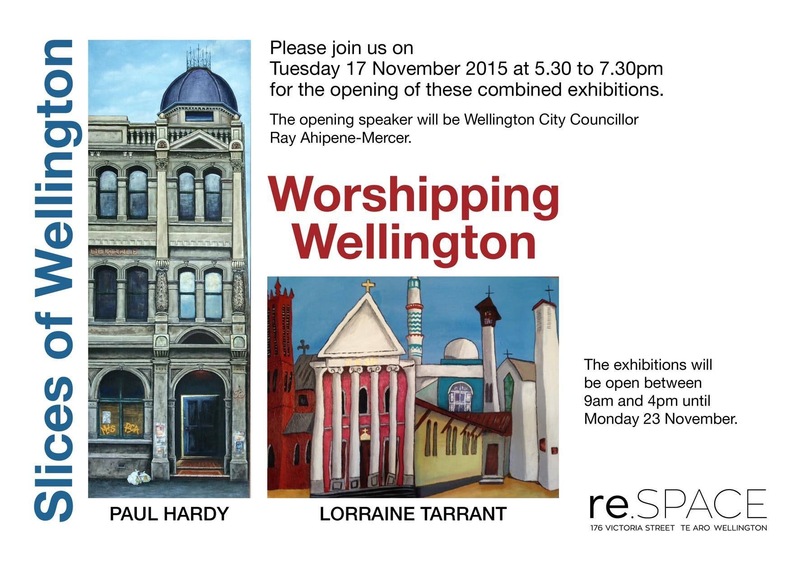 The opening of these combined exhibitions will be on Tuesday 17 November 5:30-7:30pm at re.SPACE, 176 Victoria Street, Te Aro, Wellington. All of us have been inspired on our Christian journeys by ordinary men and women – the saints mentioned in today’s readings and commemorated in today’s Feast. Who has inspired you; what captivated you about them? How did they reflect God’s love? The saints reflected God in their own lives. Thinking now about yourself, how do you reflect God in your life? Is your life an act of worship? Remember one person who has inspired you in your life and faith. Next Sunday at St Anne’s, we will celebrate All Saints’ Day with an all-age service and eucharist at 9:30am following a quieter 8am service. This day and service is one of the HIGH days of the Church year as we remember the very important heritage we have through the Saints. The Saints of God who enfleshed the Christian ideal of holiness and service. People like St Luke whom we remembered recently during our healing focus. And more recently canonised saints like Mother Theresa of Calcutta. And those in process of canonisation like Sr Aubert of the Sisters of Compassion who lived in and is buried in Wellington, at Island Bay. More on the Saints next Sunday – November 1. On Monday 2 November we will remember All Souls – the countless number, including our own relatives and friends who have also lived the christian ideal, perhaps in less spectacular and well known ways than the Saints. All Souls is a time to remember those special to us whom we believe to be with the Lord. And especially those recently deceased whose passing is likely to be the source of current grief for some of us. We will gather at 8pm in St Anne’s and have a quiet reflective time which will include candle lighting, naming the ones we remember, praying for them and ourselves and breaking bread together as we recall that Jesus was the first born of the Christian Saints and Souls. If you would like us to remember you and your loved one with the Lord, please email stanneswellington@gmail.com Better still why not join us and tell us about your special one/s. Last Sunday afternoon in Messy Church we thought about foot washing and King Jesus who washed our feet, even though this was a lowly task usually preserved for slaves, servants and the youngest present. Jesus’ example challenges us to love one another as He has loves us. He provides us with a very practical demonstration of how to do faith. In the same way, today’s Scripture readings confront us with a God who humbles us with goodness and readiness to respond to our needs and dilemmas with care, in very relevant and practical ways. “How would you feel and respond if Jesus actually washed your feet?” Figuratively or literally?